It was in October 2016 that Tata Motors announced a price hike. In fact the company increased prices across its passenger vehicles by up to ₹ 12,000 in the country. The hike was made to offset rising input costs. The company is now, yet again set to hike prices of its vehicles from the 1st of January 2017. The company says that the hike is due to the various macro-economic factors in the country and also suggested that it will be increasing prices of its passenger vehicles starting from ₹ 5,000 upto ₹ 25,000, depending on the model. Incidentally, this is the third price hike for the Tata Tiago after its launch this year. The company had previously hiked prices of the hatchback by ₹ 6000 in August and then again in October. We will have to wait and see how this hike affects the price of the car. The price hike though, does not come as a surprise as we've seen car manufacturers try and give a boost to the sales as the month of December is a bit slow when it comes to sales. According to Mr. Mayank Pareek, President, Passenger Vehicle Business, Tata Motors, "The increase in prices of raw material commodities like steel, aluminium, copper and rubber over a period of time has put a lot of pressure on us and as a resultant we are forced to hike prices of our passenger vehicles." Tata Motors is gearing up for its launches in 2017 and it will kick start the year with the Hexa, which is a very capable car as we found out, followed by the Kite 5 sub-compact sedan. 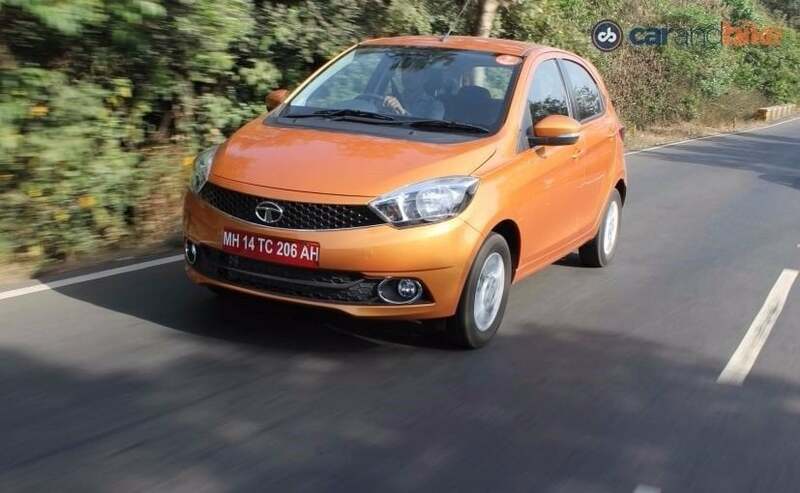 Tata Motors also intends to bring in an AMT version of the Tiago which will give the company bit more leverage in that segment.